This was one of my favorite books from this year, and it is a bit hard to describe. This book reminds me of a volume of fairy tales, with characters that are all mysteriously connected in a ancient saga. The story begins in the future as journalist Eric Seven travels to the unusual "Blest Island" to investigate claims of immortal life. He meets up with the beautiful Merle, and has the unmistakable feeling that somehow, they have met before. Seven stories tell a tale of an island where a pagan ritual, passion, and charms shape the life of the remote island's inhabitants. Each story is named by one the full moons, like the harvest moon, the flower moon, the fruit moon, etc. What I like most about the story is the gradual realization that Eric and Merle have lived before, and how their lives always seem to be connected, but it different relationships. I hestitate to tell you any more, because I don't want to spoil the surprise in any of the stories. An ingenious fantasy novel! 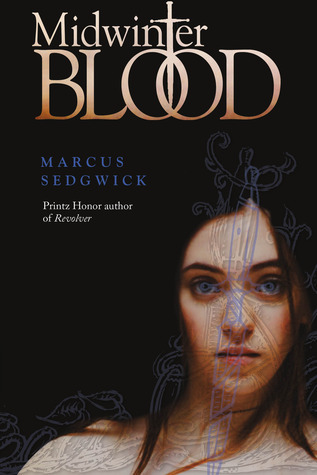 I am now checking out some of author Marcus Sedgwick's previous books to read.